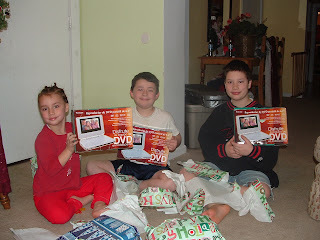 Since we are going to North Carolina this year for Christmas, and it's 14 hours away from us, we decided that Portable DVD Players would be a good thing for us. 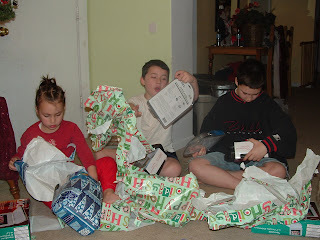 Thanks to Grandma and Grandpa, we were able to get 3. 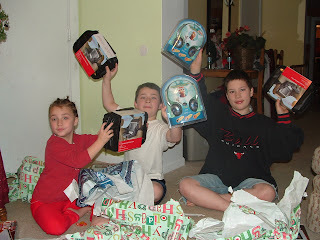 Then we bought the kids cases and earphone to go with them. Don't they look happy. It was really quite funny. They didn't know what they were. But the forced a fake smile quite well! 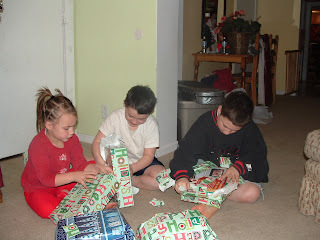 I think that when we leave tomorrow, those will be one of their favorite presents.